In a large bowl toss carrots and apples in olive oil and rosemary. Sprinkle with salt and pepper. 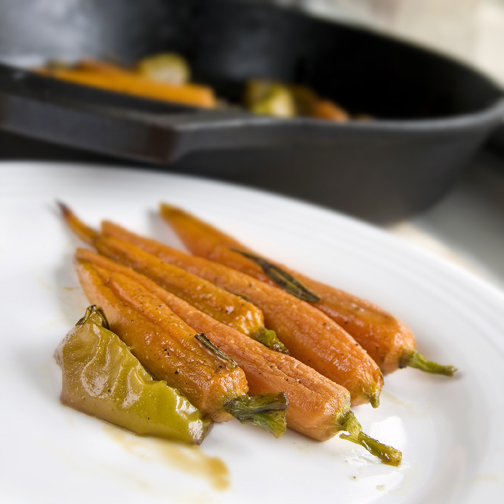 Transfer carrots and apples to a medium roasting dish and pour apple cider over top. 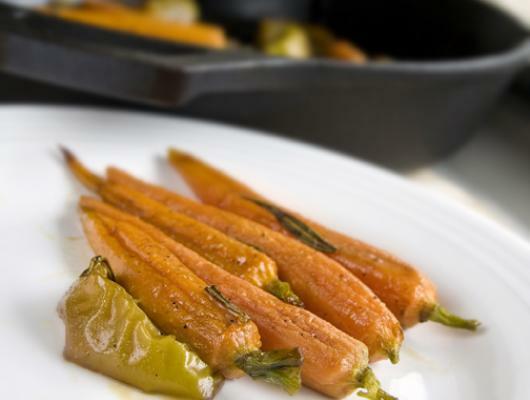 Remove foil and drizzle carrots with honey. Cook uncovered for 30 minutes, until carrots are tender and liquid has reduced. Serve warm, drizzled with sauce.